The initial version of the TAFISA statutes was approved by the General Assembly during its first meeting in Bordeaux, France in 1991. Since then the statutes have been amended by the Assembly in 1995, 1997, 1999, 2007, 2009, 2013 and 2015. During the TAFISA General Assembly in Seoul, Korea, November 16th, 2017, a revision of statutes was again approved by TAFISA Members. Please access the new TAFISA statutes via the link below. In 2017, TAFISA developed a set of bylaws to comply with best practices in terms of good governance and transparency. These bylaws were approved by the TAFISA General Assembly on November 16th, 2017 in Seoul, Korea. TAFISA has also established its own Code of Ethics to ensure that its strong values and principles are endorsed and respected by the TAFISA Board of Directors and TAFISA's employees. TAFISA’s resolutions document the will and readiness of its General Assembly to take special responsibility in high priority areas of Sport for All. 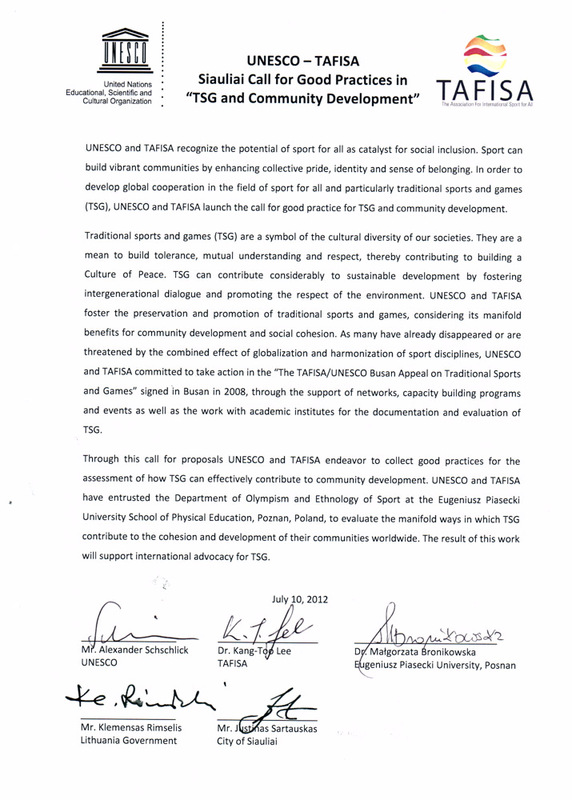 They reflect TAFISA’s worldwide political leadership of the global Sport for All movement, and strong partnerships with other leading bodies and relevant sectors. TAFISA is open to establishing new focus areas and partnerships.